IC Markets is an Australian forex broker offering some CFDs too. It was founded in 2007. IC Markets is considered safe because it is regulated by the top-tier Australian regulator, the Australian Securities and Investments Commission (ASIC). IC Markets has very low trading and non-trading fees. It has also an easy and fast account opening. The deposit and withdrawal are free and user-friendly. With IC Markets you will not have any investor and negative balance protection. It has a limited product portfolio offering only forex, some CFDs, and crypto. IC Markets has low trading and non-trading fees. We compare IC Markets fees with its peers, Pepperstone and Oanda. IC Markets’s trading fees are low. There are different cost structures at different account types. 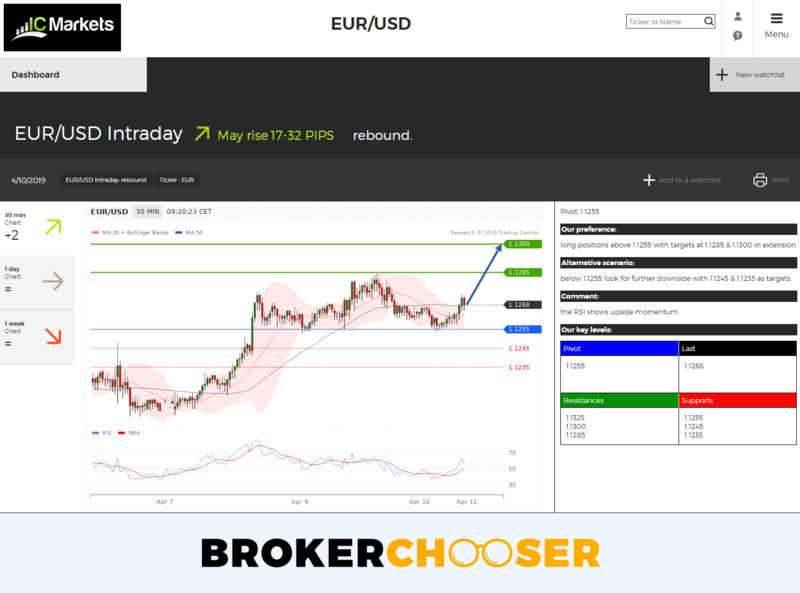 We tested the True ECN cTrader account which applies commission and tight spreads. Besides forex, you can trade with CFDs, including stock CFDs. IC Markets applies volume-based pricing for stock CFDs: $0.02 per share. This is very low compared to its competitors. IC Markets financing rates are average, mostly in line with the competitors. IC Markets has low non-trading fees. There are no inactivity, account, and withdrawal fees. It is great in comparison with the competitors. The account opening at IC Markets is user-friendly and fully digital. It was also very fast, it took only 1 day until our account was approved. IC Markets accepts customers from all around the world. There a few exceptions, most notables are US, Canada, New Zealand, and Japan. The minimum deposit at IC Markets is $200. This is low, since there are brokers requiring a minimum of $2,000. *Islamic accounts are also called swap-free account. At Islamic accounts, a flat commission is charged if you hold your leveraged position overnight instead of the percentage-based financing rates. We also liked that you can have more sub-accounts with different base currencies. 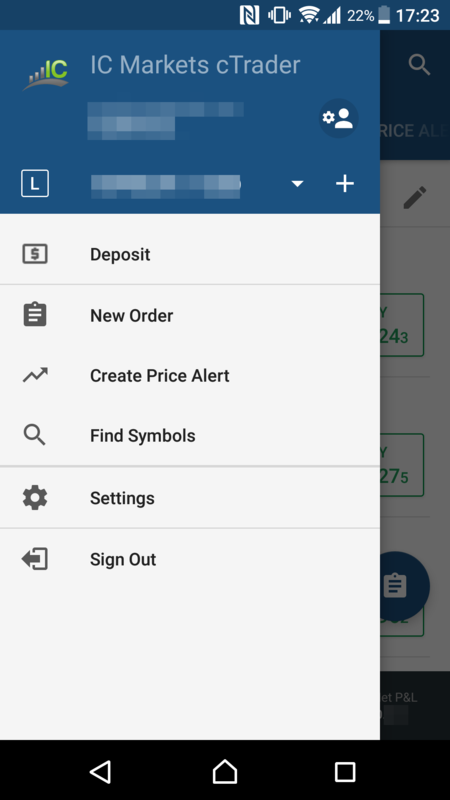 IC Markets account opening is easy and fully digital. The online application takes roughly 10-15 minutes and the account approval took one business day. Verify your identity and residency by uploading a copy of your passport / ID, and a bank statement / utility bill. IC Markets does great at deposit and withdrawal. There are no fees for deposit and withdrawal. You can also use a lot of options for transferring money. At IC Markets, you can choose from 10 base currencies: EUR, USD, GBP, AUD, CHF, NZD, JPY, SGD, CAD, HKD. It is in line with Pepperstone's 10 and Oanda's 9 base currencies. IC Markets deposit fees are free of charge. You will find a lot of deposit options. There are some deposit options which do not support all account base currencies. E.g. Bpay accepts only AUD. The bank transfer can take more business days, while credit/debit cards are instant. IC Markets withdrawal is free for credit/debit cards, bank transfers to Australian bank accounts, and electronic wallets. The international bank transfer withdrawal has a quite high, AUD 20 fee. You can use the same withdrawal options as at the deposit. You can only withdraw money to accounts on your name. We tested the credit card withdrawal and it took 3 business days. IC Markets offers only third-party trading platforms. 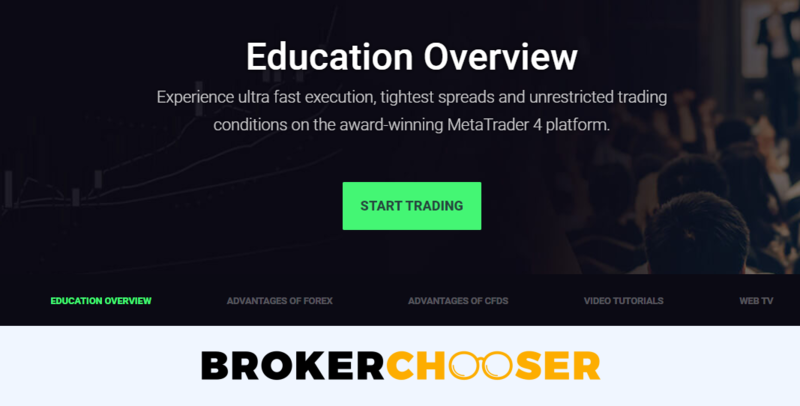 We tested cTrader which is a great platform. It is well designed and user-friendly. On the flip side, it lacks the two-step login. IC Markets does not have an in-house developed trading platform, it uses third-party platforms: cTrader, MetaTrader 4, and MetaTrader 5. You can feel a bit lost when choosing the right platform for you, so we missed a clear comparison of these. 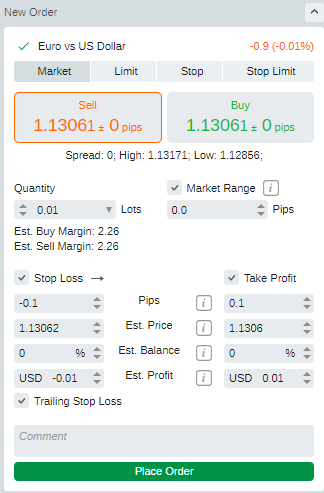 IC Markets web trading platform is user-friendly and looks nice. You will easily find the functions..
IC Markets search function works as you would expect. There is a drop-down list on the left and you can search by typing or searching among the categorized products. It gives relevant results. You can use four order types. You will not find very sophisticated orders like the "one cancels the other" order. IC Markets has clear portfolio and fee reports. You can see many statistics about your trades, e.g. the largest profit or the number of winning or losing trades. Also, you can see the fees clearly you paid for the trades. Similarly to the web trading platform, we tested the cTrader mobile trading platform. It is available both on any iOS or Android devices. We tested it on Android. The mobile trading platform has the same user-friendliness, and functionalities as the web trading platform. 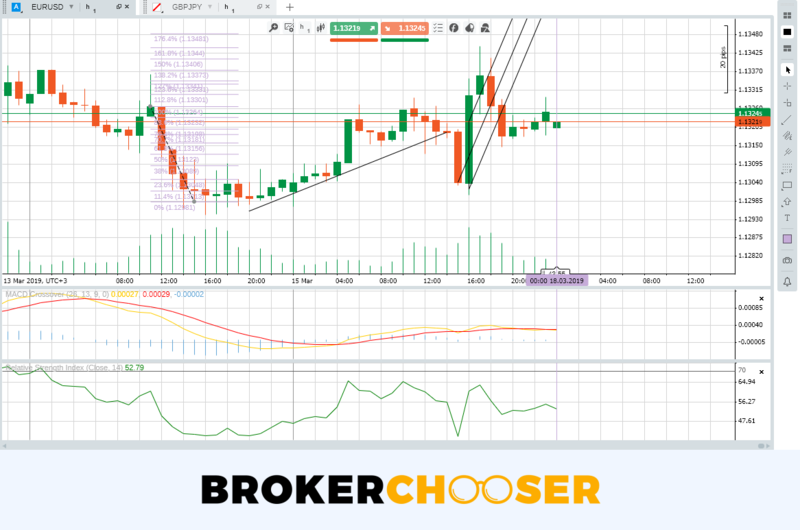 IC Markets offers third-party trading platforms, and we tested cTrader. It is basically the same as the web trading platform. 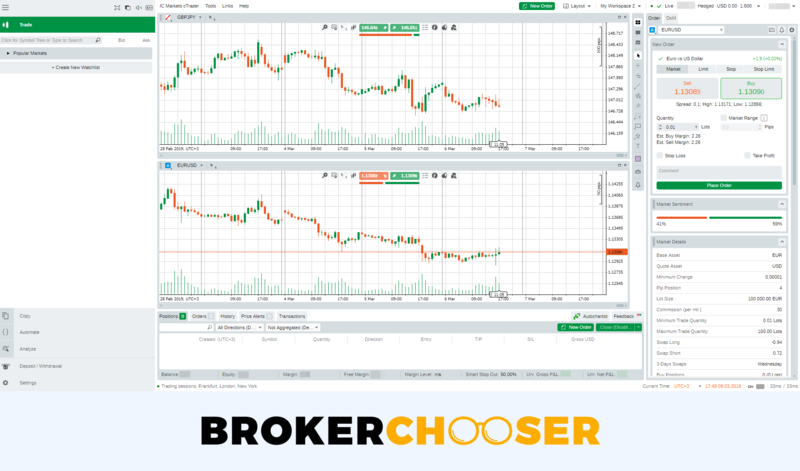 You can use the desktop trading platform of cTrader, MetaTrader 4, and MetaTrader 5. 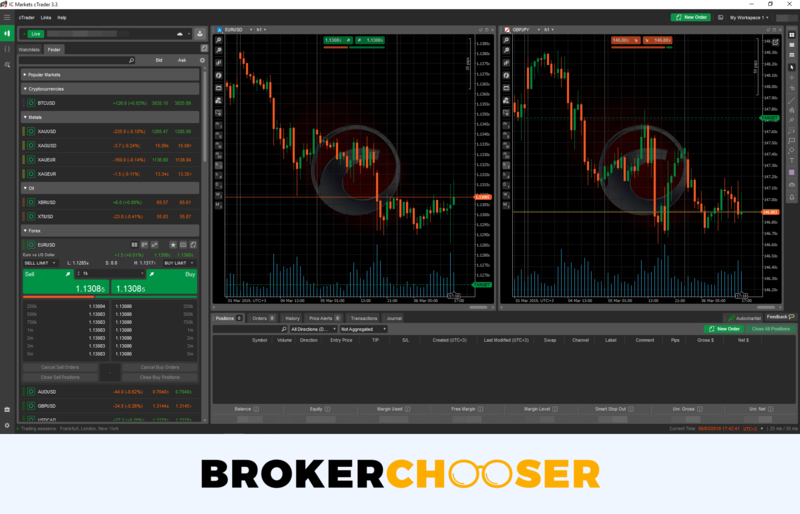 Similarly to the web and mobile trading platforms, we tested cTrader. In design and functionalities, it is the same as the web trading platform. At IC Markets, you can trade only forex, some CFDs, and cryptos. It lacks real stock, fund, bonds, options, and futures asset classes. IC Markets is primarily a forex broker, but it offers also some CFDs. To learn more about CFDs please read our CFD trading tips. IC Markets offers more currency pairs than Oanda, but less than Pepperstone. Its CFD and crypto offering is better compared to its peers. The maximum levels of leverages are much higher for all the asset classes than in the EU since IC Markets is regulated in Australia. We really liked that you can change the default leverage level of the products. 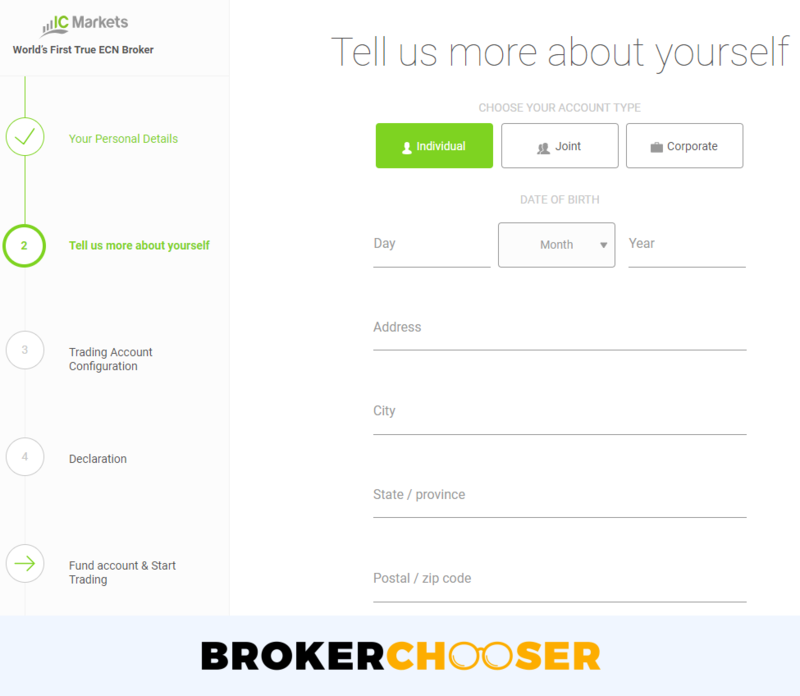 This is a great feature provided only by a few brokers in the industry. IC Markets has great research tools. You will find quality charts, news, and recommendations, but there is no fundamental data. IC Markets research tools are easy-to-use. They are available only in English. IC Markets provides trading recommendations which are based on technical analysis. You can find them at the "Trading Central" section. You will find recommendations for stock, forex, bond, commodity, and stock indices. It is great. Fundamental data are also missing. IC Markets does a great job in charting. The charts are very responsive, easily editable and you can use more than ~50 technical indicators. You can also save them. You can also use pattern recognition tools at the "Featured ideas" and at Autochartist, a third-party service provider. IC Markets offers informative and well-structured news, but only on its website. Would be great to have these on the trading platforms as well. If you prefer API trading, IC Markets offers the cAlgo which uses the C# language. IC Markets has great telephone and email support. On the flip side, live chat can be improved. IC Markets has great telephone support. They answered within a minute and we got relevant answers. The email support works very well. We sent four emails and got answers within a day for all of them. These answers were helpful and relevant. We also liked that they ask feedback for the support. The live chat can be improved. It is slow as we waited an average of 10+ minutes. The answers we received were not relevant. E.g. we had to ask several questions until we got to know how the financing rates work. We also appreciated the 24/7 availability. IC Markets does a great job in education. It offers many educational tools in a great quality. You can use a demo account, watch trading platform videos, or read educational articles. The education contents can be found on the website, below the education section and the IC Markets blog. They are well structured and cover useful topics, like technical analysis or risk management. The general educational videos have great quality. They can be only found on IC Markets Vimeo channel, and but not directly from the website or trading platform. IC Markets is regulated by the top-tier Australian regulator, ASIC. On the flip side, it does not provide investor protection and negative balance protection. 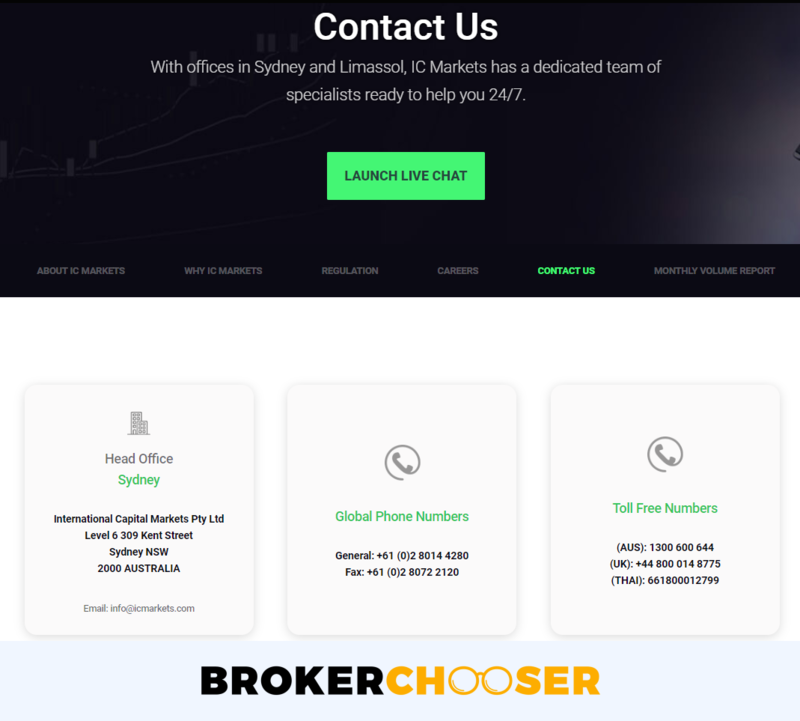 IC Markets is an Australia-based broker established in 2007. Is IC Markets safe? To be certain, it is best to check two things: how you are protected if something goes south and what the background of the broker is. IC Markets provides its services through its Australian legal entity. This is regulated by the Australian Securities and Investments Commission (ASIC). This matters since ASIC does not require the Australian brokers to provide any monetary investor protection. IC Markets does not provide negative balance protection either. IC Markets was established in 2007. The longer the track record of a broker, the more proof we have it had already managed previous financial crises. Being regulated by top-tier regulator and being in operation for a long time are all great signs for IC Markets's safety. 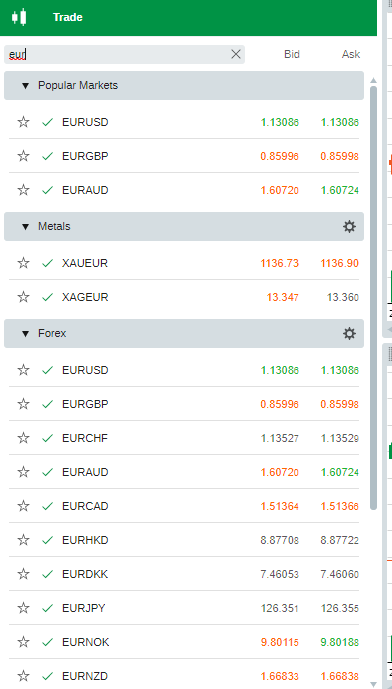 IC Markets is a great forex and CFD broker. Its fees are very low and the account opening is fast and easy. The deposit and withdrawal are free and user-friendly. On the other hand, IC Markets offers only forex, CFD and crypto trading. It does not provide any investor and negative balance protection. 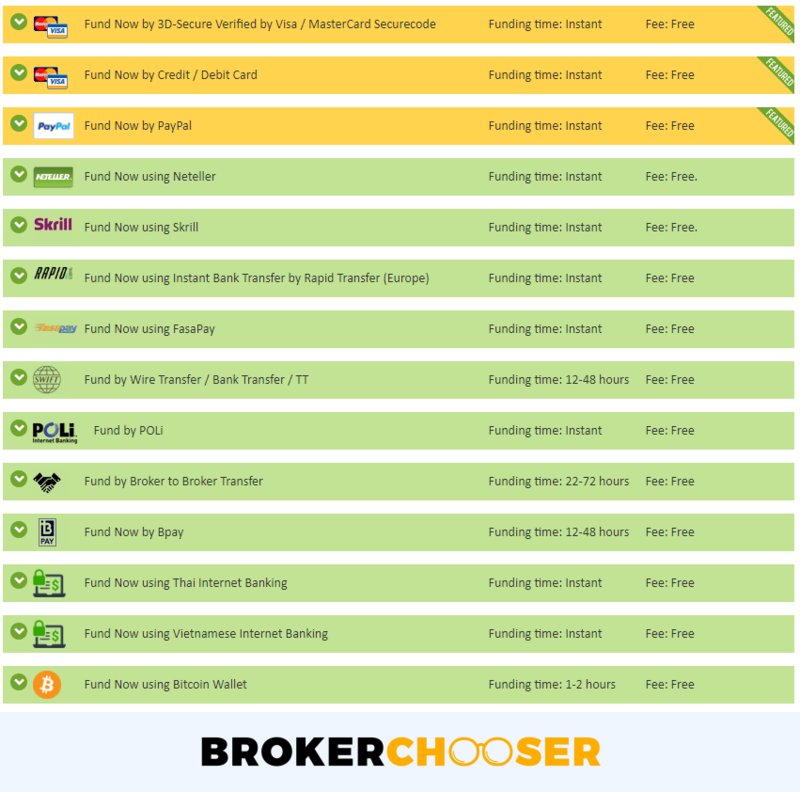 Feel free to try IC markets as you will have an account within a day and there is no inactivity fee.